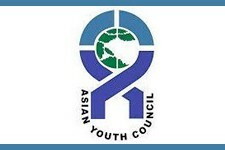 The Asian Youth Council (AYC) is a non-governmental, youth-serving, regional organisation, formed on August 14, 1972, to promote the solidarity and family spirit among young people in Asia as well as to strengthen national youth organizations in the region. Memberships of the AYC comprised of national youth organizations in Asia. AYC serves as a forum for information exchange among national youth councils in Asia and other inter-regional agencies. It works closely with various regional and international partners to promote youth volunteerism and development of leadership among young people. The AYC is a member of the International Coordination Meeting of Youth Organisations (ICYMO). Member countries include Malaysia, Cambodia, China, Brunei Darussalam, South Korea and Mongolia. AYC is an NGO in consultative status with the United Nations' Economic and Social Commission (ECOSOC). The AYC Secretariat is located in Malaysia. A list of AYC Affiliates is listed here: http://ayc.asia/10-2/ayc-affiliates/ Though the Facebook Page remains active, it is unclear how active the AYC is, how engaged the member organisations are from across the region, and how representative those organisations are of young people. The One Asian Youth Forum 2016 took place in Cambodia 25-28 February. More information is available here: http://ayc.asia/oayf2016/.